Progressive Democrats of America (PDA) National Advisory Board Members Representatives Keith Ellison, Raul Grijalva, John Conyers, and Barbara Lee have all announced they will not attend the inauguration of president-elect Donald J. Trump. PDA Advisory Board Member, and Congressional Progressive Caucus (CPC) Co-Chair Rep. Keith Ellison Tweeted "I will not celebrate a man who preaches a politics of division and hate. I won't be attending Donald Trump's inauguration." 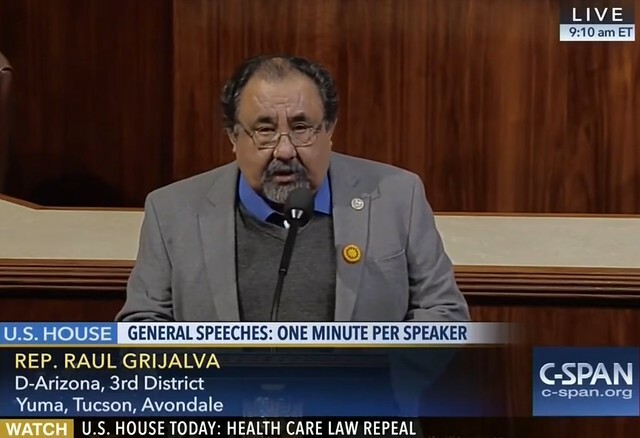 His CPC Co-Chair Rep. Raul Grijlava added, "My absence is not motivated by disrespect for the office or motivated by disrespect for the government that we have in this great democracy, but as an individual act, yes, of defiance at the disrespect shown to millions and millions of Americans by this incoming administration, and the actions we are taking in this Congress." Besides these four leaders, more than fifty Congress members are planning to stand up Trump. 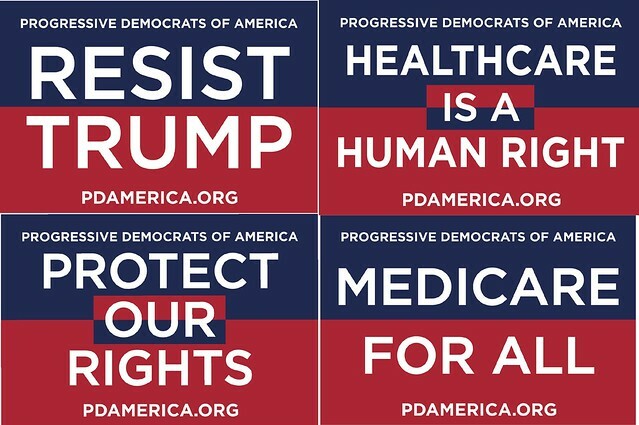 This list features several other Progressive champions who PDA has endorsed including: Reps. Mark Pocan, Ted Lieu, Pramila Jayapal, and Bonnie Watson Coleman. As the number keeps growing, PDA applauds the courage and commitment to principle these leaders and their dozens of colleagues exemplify. Click here to sign up for the D.C. March on Facebook. If you can't travel to D.C., please seek out or initiate a resistance event near your home Contact Mike Fox if you are willing to help organize PDA people at a rally or march near you. Can't get out to a rally or march? Sign up with Mike Fox for other ways to help. Too busy to volunteer? Then please pitch in $500, $50, or whatever you can right now to sustain the resistance. Money tight? contact PDA Field Coordinator Judy Hess to start organizing resistance in your area. Shame on those who are going to legitimize him by attending his disgusting show.